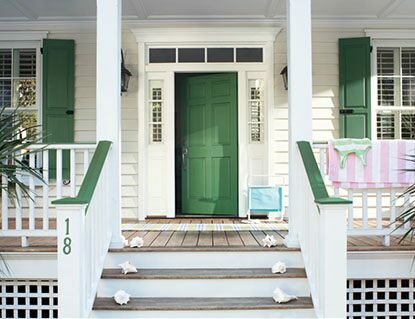 Give your front door a dose of fresh colour to perk up a home’s exterior and extend a gracious welcome. 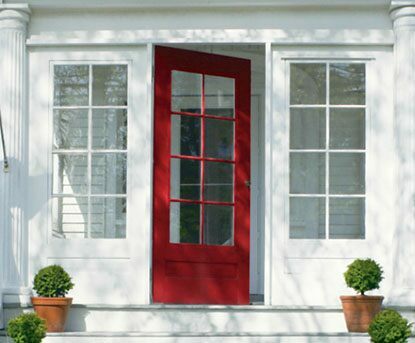 Refreshing your door with a glossy new coat of paint is a quick way to make a lasting first impression. 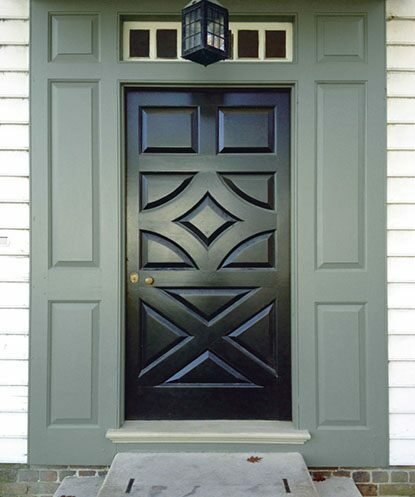 Benjamin Moore’s Aura® Grand Entrance® line, specially formulated for front doors, is available in any colour. Most exterior paint colours and materials lean toward neutral shades, so a colourful front door is a chance to express your personal style through a central exterior architectural feature. Adding a statement colour to the front door is comparable to what a silk scarf or tie does for an outfit—a small dose of colour can do wonders to uplift the façade of a home while complementing the architecture and surrounding landscape. Hot shots of red, yellow or orange are naturally warm and exuberant. Vivid accent colours make a strong design statement but mix surprisingly well with most other shades, especially the neutrals most often used as the primary colour of a house. Green, gray and blue doors are a naturally gracious expression for the entrance to your home, especially when they contrast with a house’s warm undertones. For impact, search for saturated colours that will pop from surrounding architecture. Take your colour cues from inside the house to pick a paint colour you’ll love. Think about the colours of the space your door will open into. Pull a strong accent colour from those spaces for colour continuity or choose a more saturated shade of a primary interior colour. And don’t worry about fading. 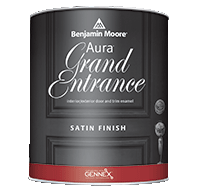 Benjamin Moore Aura Grand Entrance is as durable as it is beautiful, specially formulated to go on smoothly and retain its colour and gloss. 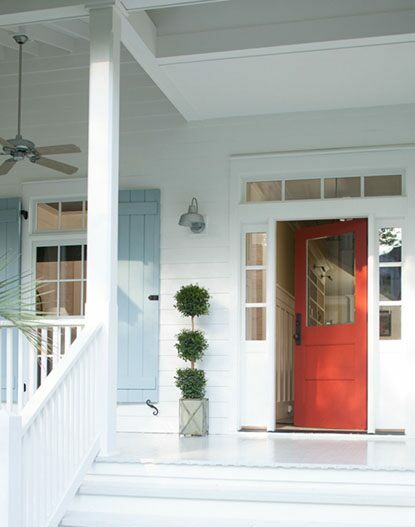 Make your front entrance feel warm and inviting with these Benjamin Moore paint colour ideas. Your front entry is the first thing guests see when they come to visit. Make it special with the rich, vivid colours and exceptional durability of this superb paint.